Due to mix up of some numbers and names, we ask that you keep your winning information confidential until your claims has been processed and your money remitted to you. This is part of our security protocol to avoid double claiming and unwarranted abuse of this program by some participants. Allparticipants were selected through a computer ballot system drawn from over 100,000 company and 50,000,000 individual email addresses and names from all over the world. 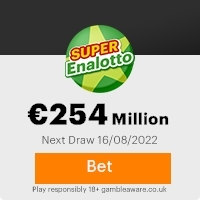 This lottery was promoted and sponsored by Spanish European Lottery Board in conjunction with all international world organization such as ,(UN,UNICEF,UNESCO)E.T.C in order to enhance and promote the use of Internet Explorer Users and Microsoft-wares around the globe. This promotional program takes place every three year We hope with part of your winning you will take part in our end of year 50 million Euro International lottery. Please note in order to avoid unnecessary delays and complications please remember to quote your reference number and batch numbers in all correspondence. COMPLETE AND SEND REQUIRED INFORMATION BELOW TO YOUR CLAIM AGENT. This message is CONFIDENTIAL. It may also be privileged or otherwise protected by work product immunity or other legal rules. If you have received it please let us know by reply it from your system; you should not copy it or disclose its contents to anyone,All messages sent to and from Dinero Express.Es may be monitored to ensure compliance with internal policies and to protect your winning from the Euro Million Spanish Lottery Award Promotion. Previous: CONGRATULATIONS, YOUR ... WON .Fresh ScamsNext: (Read) Congratulation ... Won. This Email with the Subject "CONGRATULATIONS!!!" was received in one of Scamdex's honeypot email accounts on Thu, 16 Aug 2007 09:18:28 -0700 and has been classified as a Generic Scam Email. The sender shows as "euromillion_02@terra.es" <euromillion_02@terra.es>, although that address was probably spoofed. We recommend that you do not attempt to contact any persons or organizations referenced in this email, as you may expose yourself to scammers and, at the very least, you will be added to their email address lists for spam purposes.